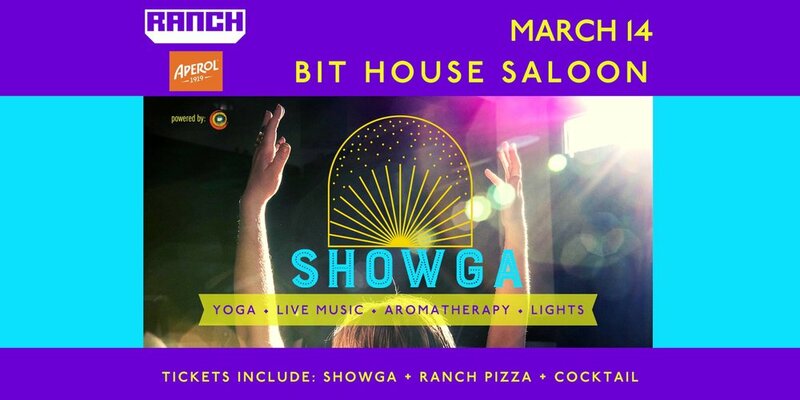 Join us for Showga's PORTLAND DEBUT at Bit House Saloon, featuring fabulous local talent and local grub! Showga is a live concert on your yoga mat incorporating yoga, live music, augmented reality visual effects and lights, aromatherapy, and visualization. Reset and reconnect to the wonder of being alive with this festive exploration of the senses. This launch party will feature yoga instruction from Skylor Powell set to live music from Samuel Eisen Meyers. Each ticket also includes one free post-Showga drink from the bar courtesy of Aperol, and free snacks from Ranch Pizza – stay and hang after class! Please bring a yoga mat if you have one. We will also have some available to borrow. SKYLOR POWELL has been teaching the importance of connection through yoga since 2009. She believes every person has the potential to flourish in every realm, it’s simply about understanding how to activate the muscles, confidence and patience to do so. She's a 200 E-RYT, has a degree in psychology and is a self-proclaimed opportunity junkie.